The Environmental Protection Agency moves forward this month with its official order that the General Electric Co. pay for the removal of polychlorinated biphenyls (PCBs) from the upper Hudson River. Planned costs to clean up the river are about $500 million. “The administration is committed to cleaning up the Hudson River in a manner that is environmentally sound and is responsive to the concerns of the affected communities,” says EPA Administrator Christie Whitman. But opponents of the plan fear disturbing the contaminated sediments. A new report evaluates the science presented on both sides. Since 1984, the debate over whether or not to dredge America’s largest Superfund site of the toxic PCBs has centered on the technological feasibility and overall environmental benefits. From the late 1940s until 1977, GE’s manufacturing plants in Hudson Falls and Fort Edward, N.Y., released an estimated 200,000 to 1.3 million pounds of PCBs, used in the production of electric capacitors, into the Hudson River. 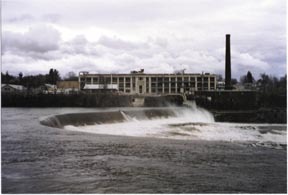 Under an agreement with the New York State Department of Environmental Conservation (NYSDEC) in 1977, GE stopped discharging PCBs into the river. The company is currently cooperating with the NYSDEC to prevent additional PCB leakage into the river from its Hudson Falls plant. The 209 different chemical compounds of PCBs accumulate in the fat tissues of fish. Humans who consume contaminated fish increase their risk of cancer. Currently, PCB pollution is such that only catch and release fishing is allowed in the upper Hudson River, while health advisories recommend not eating too many fish caught downstream. GE’s major argument against dredging the river is the same as those of residents opposed to the plan: the anticipated mixing of PCBs into the water column. Removing the contaminated sediment may help the river speed up its natural cleaning process, but it will still take decades to recover. Those against the dredging say the short-term environmental damage and potential economic concerns are not worth the long-term wait. With EPA’s final decision in place, just how much resuspension of PCBs the plan will allow and the methods for keeping those limits in check will be developed this year as part of a 36-month design phase. The plan calls for the removal of approximately 150,000 pounds of PCBs from a 40-mile stretch of the upper Hudson River from just north of Albany to Fort Edwards. Working with Baker were: marine scientists Frank Bohlen of the University of Connecticut and Bruce Brownawell of the State University of New York in Stony Brook, earth and environmental scientist Richard Bopp at Rensselaer Polytechnic Institute, ecotoxicologist Tracy Collier of the National Marine Fisheries Service, environmental engineer Kevin Farley of Manhattan College, Rockwell Geyer of the Woods Hole Oceanographic Institution and Rob Nairn, principal of Baird & Associates. The “worst case” scenario of twice as much PCBs floating back into the river during a dredging operation is an option Merrilyn Pulver, the Fort Edward town supervisor says she finds unacceptable.